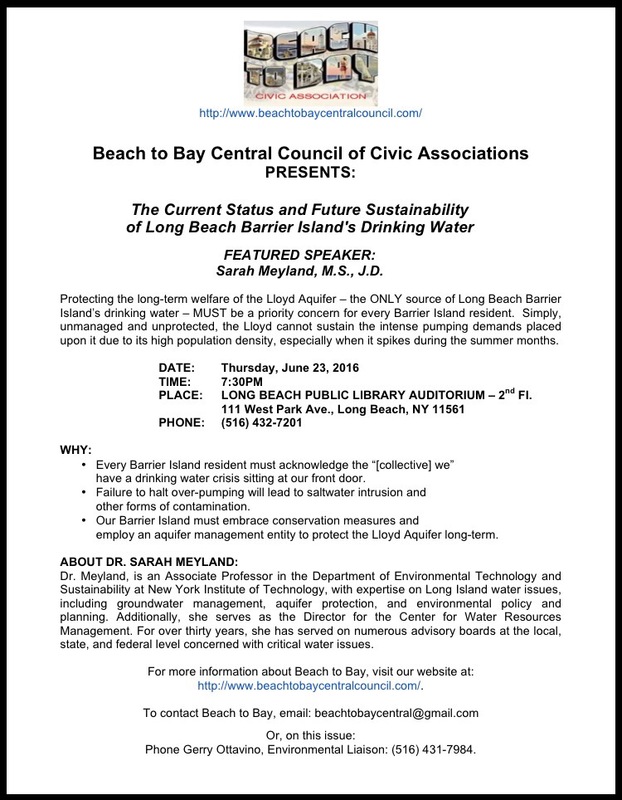 The Beach to Bay Central Council of Civics bring a presentation on problems the Long Beach Barrier Island’s drinking water currently faces. 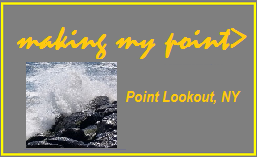 Almost 4 years ago, when we published our post “Long Beach Drinking Water Meeting“(https://makingmypoint.wordpress.com/2012/10/11/long-beach-drinking-water-meeting/) this issue was being noticed. At the time, Assemblyman Weisenberg said this was “the most serious problem in the city’s history.” Two weeks later, disaster in the form of Sandy struck, and there were more immediate items that we needed to attend to. Can you imagine, our only source of nearly-free drinking water is neither protected nor managed to assure it remains clean, safe, and available- even into the near future? Please attend to find out more.